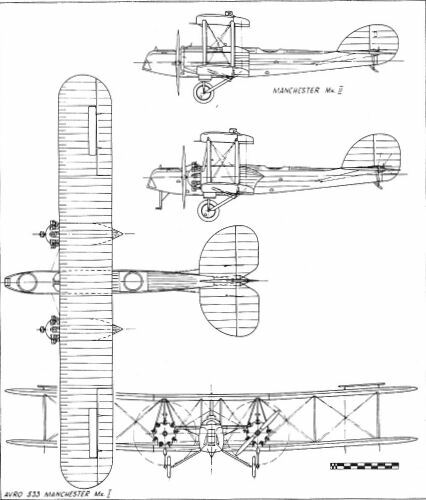 The unmarked prototype Avro 521. 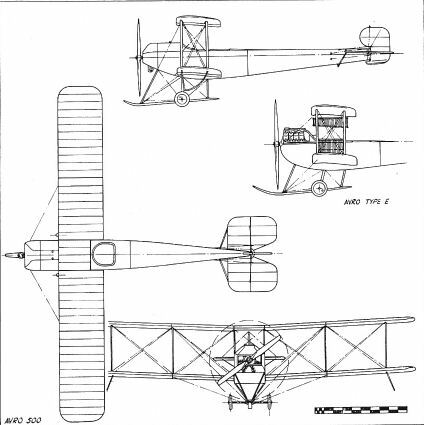 The Avro 523A with two 150 h.p. Green engines and tractor airscrews, at Hamble 1916 with the Pike. 3694, the sole Avro 529, at Hamble in April 1917. 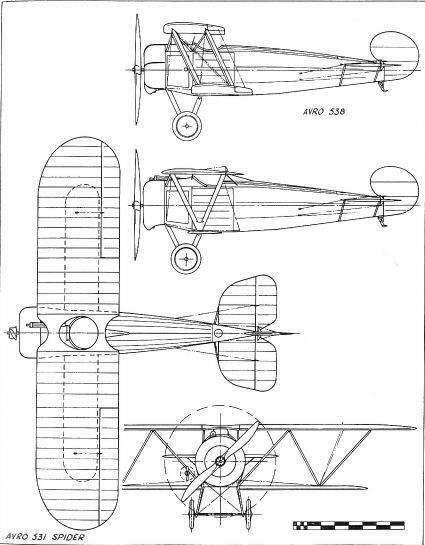 3695, the Avro 529A, identified by low set nacelles. 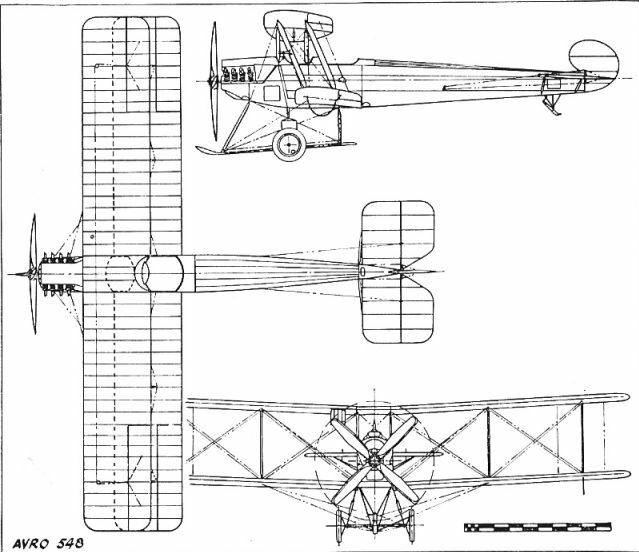 The Avro 530 with 200 h.p. 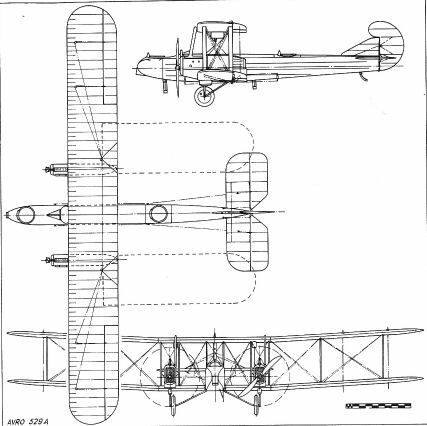 Sunbeam Arab, enlarged fin and flap-less mainplanes. 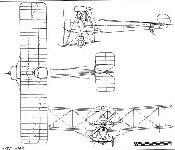 The Avro 531 Spider single seat fighter. The Avro 538 communications machine of the Avro Transport Company, at Birkdale Sands, Southport, 1919. 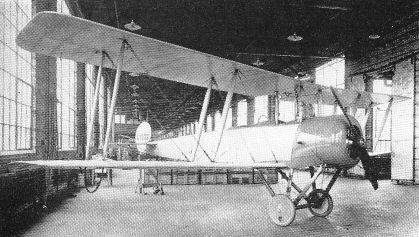 The prototype Avro 504 at Hendon, September 1913, in its original form with square cut engine cowling and warping 'ailerons'. 4034, a production Avro 504A. 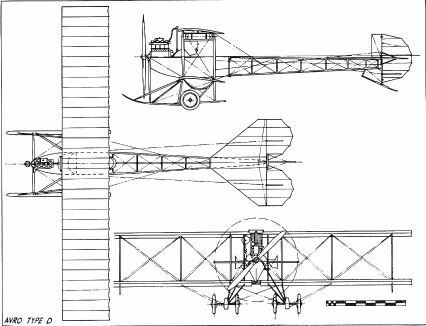 Production Avro 504B serial 1032, with cut-away cockpit sides and tail skid pylon. A R.N.A.S. 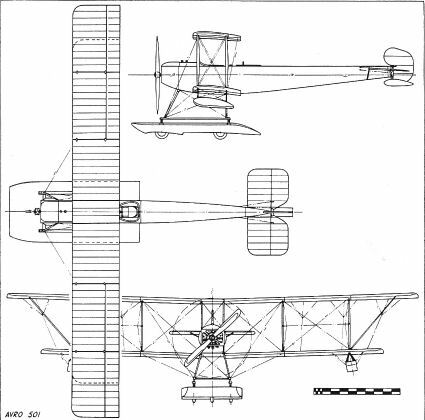 anti-Zeppelin Avro 504C. 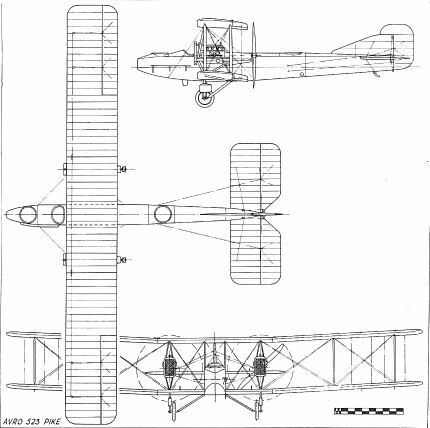 Avro 504J C4451 on which H.R.H. 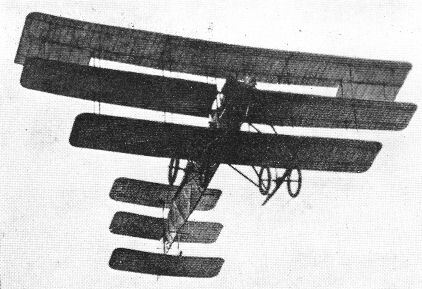 Prince Albert learned to fly, showing the characteristic lobed cowling. Avro 504K F2623 during a postwar instructional flight over Salisbury Plain. 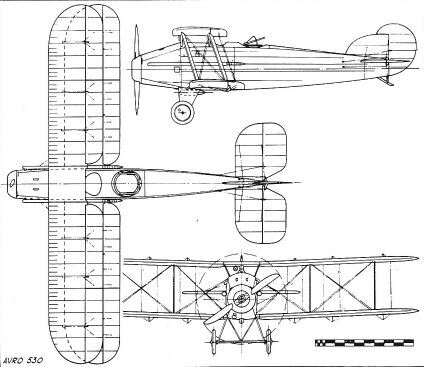 Avro 504J B.3103 of the C.F.S. 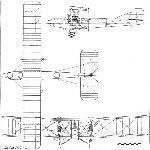 Communication Flight al Lopscombe Corner, Salisbury, in 1918 with modified undercarriage. 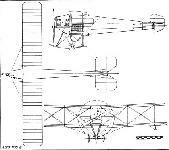 A high altitude Home Defence Avro 504K single seater with Lewis gun on the top centre section. The Avro 540, a postwar gunnery trainer version of the Avro 504K. 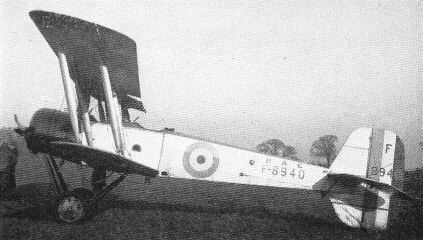 F8940, one of the Avro 504Ks modified at the R.A.E., Farnborough, in 1922 for low speed lateral control tests. 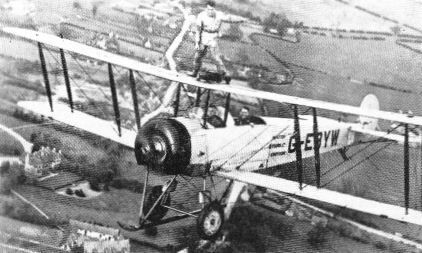 The Golden Age of barnstorming - Martin Hearn riding the top wing of Aviation Tours' Avro 504K G-EBYW circa 1933. 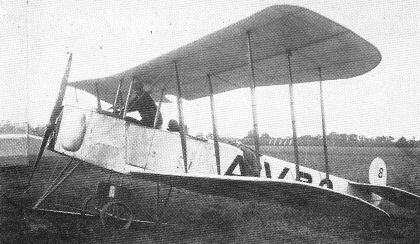 The Navarro Aviation Co.'s Avro 504K D9304 G-EAF.A joyriding at Whitstable, Kent in 1919. Like so many contemporary civil aeroplanes, it flew in drab military green with R.A.F. serial. Avro Transport Company joyriding 504K E4359 JG-EABJ, Fleet No. 3, on the beach at Blackpool in 1919. G-EAGI, one of the Central Aircraft Co.'s Northolt-based instructional 504Ks, retained the Vee-type undercarriage of the Home Defence fighter version. 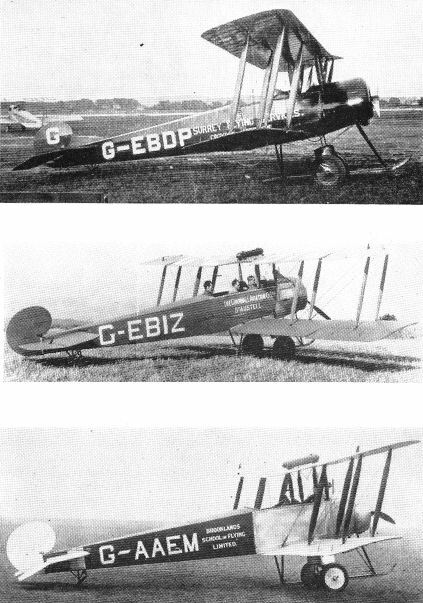 For over a decade three of the greatest names in joyriding were those of Surrey Flying Services Ltd., the Cornwall Aviation Co. Ltd. and the Brooklands School of Flying Ltd., represented here by G-EBDP (1922-1930); G-EBIZ (1924-1935); and G-AAEM (1929-1931). 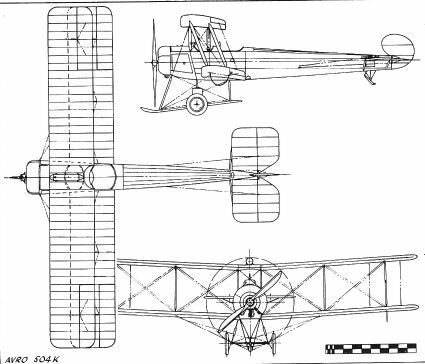 The Dyak engined 504K c/n D.l (later G-AUBG), built at Mascot by A.A.E.C. Ltd. from imported parts in 1920. 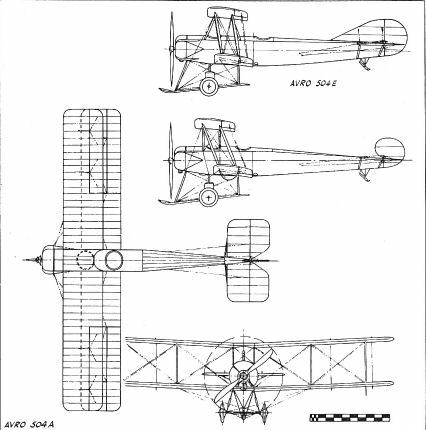 The special Avro 504K with modified undercarriage and tail assembly, believed G-AUDM, showing the revised side cowlings of later Dyak powered machines. C1502, second of the two Avro 504Ks built at Toronto by Canadian Aeroplanes Ltd. and incorporating a third undercarriage strut. 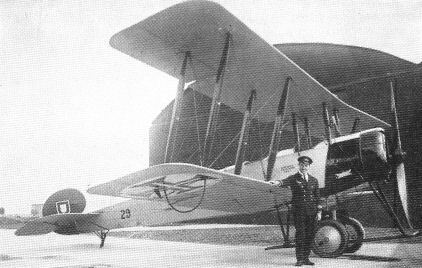 Danish Navy Avro 504K H2023/104 at Kastrup in 1923. 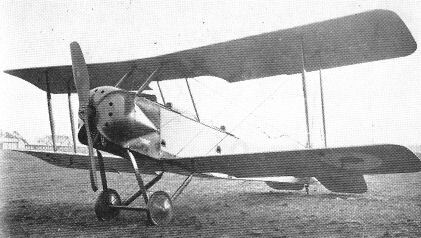 Det Danske Luftfartselskab's first Avro 504K G-EAJE in Danish marks as T-DOLM in 1921. 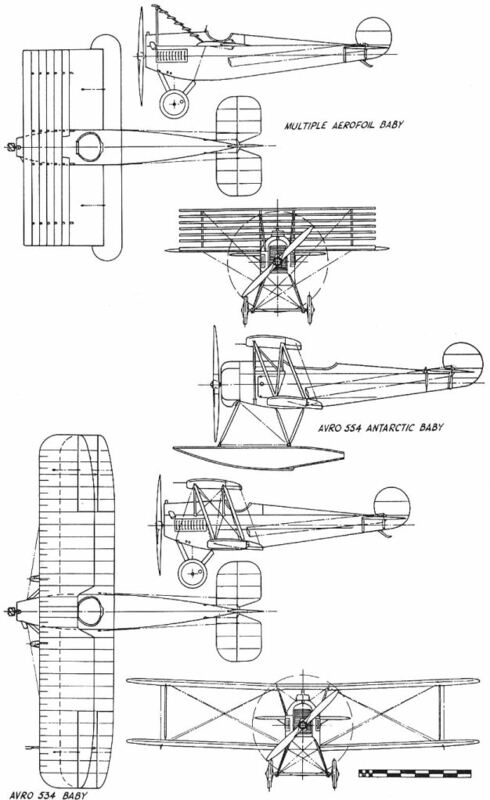 The Finnish Air Force ski-equipped Avro 504K AV-57 was supplied by the Aircraft Disposal Co. Ltd. in 1926 as G-EBNU (visible under lower mainplane). 201, first of the 1929 N.Z.P.A.F. 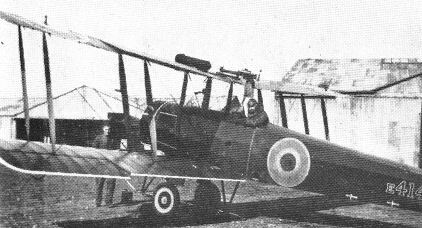 Avro504Ks, after being converted to ZK-ACN in 1931 and repaired with the wings of 206/ZK-ACS. 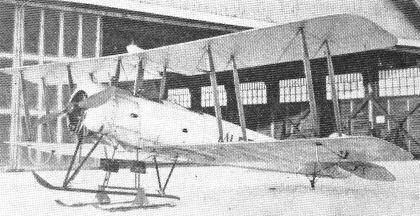 The Avro 504K 29 at Manchester prior to delivery to the Portuguese Government in May 1925. 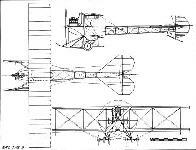 N-37, the Avro 504K filled with 140 h.p. Hispano-Suiza HS 8Aa and cabin top for Lt. Christian Hellesen in 1929. The Avro 504M three seat cabin machine K-134/G-EACX at Hendon in July 1919. The prototype Avro 504L two seater C4329 on the beach at Hamble early in 1919, showing the original four-strut undercarriage. 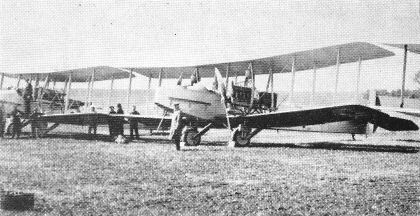 K-144, F-EAFB, first of the Kaslbourne Aviation Co. Ltd.'s joyriding 504Ls (three individual cockpits), taxying out at Hove, Sussex, in August 1920. 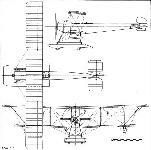 Canadian Air Board forestry patrol Avro 504L G-CYAX, showing the revised undercarriage strutting used on the majority of conversions. The original Avro 503 seaplane moored at Shoreham in June 1913. A. V. Roc at Blackpool with the first Roe I triplane in October 1909. 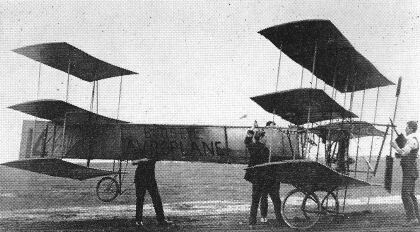 "Two-and-a-Bit Plane" - the second triplane with extended biplane wings, tail wheel and "Mercuiy " undercarriage at Brooklands 1910. 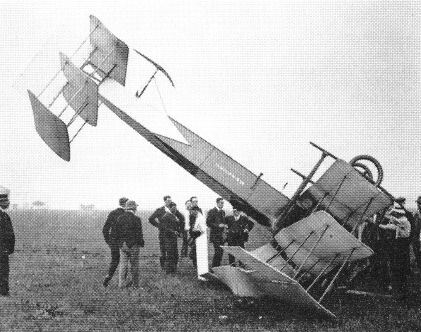 "Mercury" with ailerons fitted, after one of its several mishaps at Brooklands later in 1910. 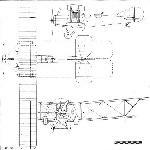 The original Avro Type D biplane with transverse radiator. The special Type D with E.N.V. engine at Brooklands on the eve of the Circuit of Britain Race, July 1911. 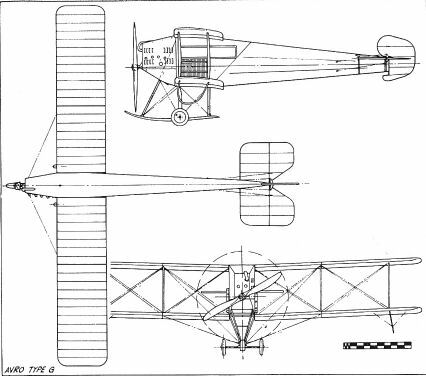 The fifth Type D was the improved sesquiplane version. 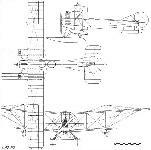 J. R. Duigan flying the biplane with 35 h.p. E.N.V. engine at Brooklands April 1912. 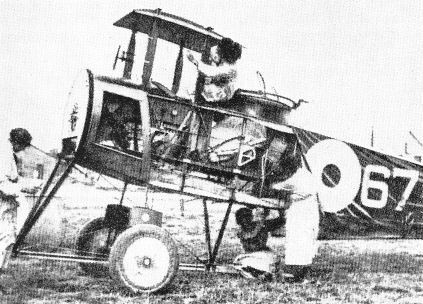 J. Laurence Hall in the 'civil' Avro 500 at Hendon in January 1914. 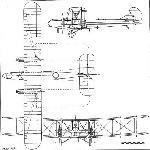 Typical of late production 500s it had the 'comma' rudder and inversely tapered ailerons. 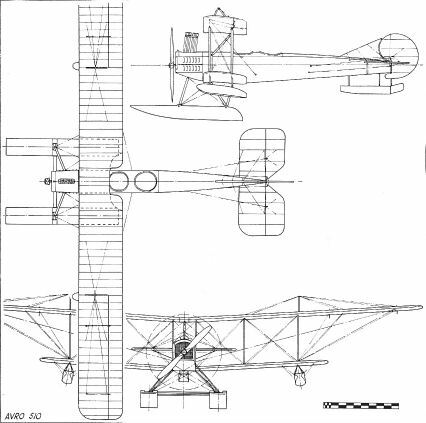 The Avro 500 prototype with 50 h.p. Gnome rotary engine and the original sprung rudder. 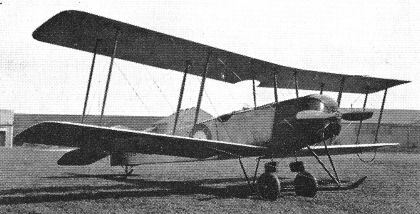 The Hall School's Avro 500 at Hendon late in 1914 on war service as 939 with improved undercarriage. 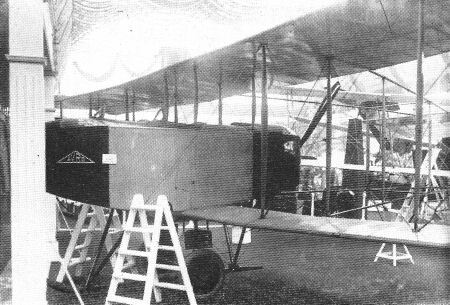 The Avro 508 reconnaissance pusher at the Olympia Aero Show, London, in March 1914. 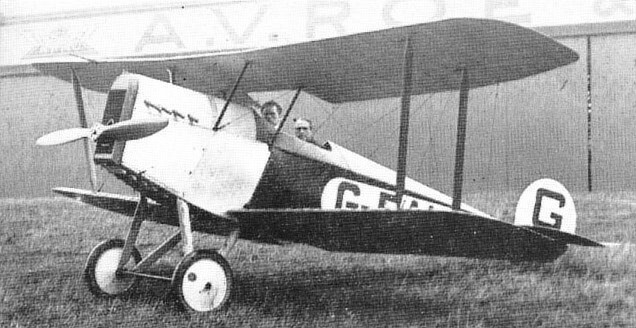 One of the five production-type Avro 510s built for the R.N.A.S. 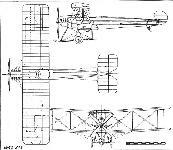 The Roe III triplane (35 h.p. J.A.P.) in flight with ailerons fitted to the top wing. 8441, second of the two R.N.A.S. 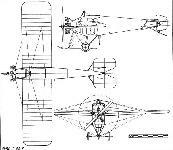 Avro 519 single seat biplanes. 1614, first of the two R.F.C. 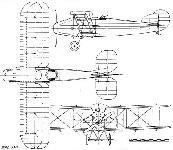 Avro 519A two seaters. Hinkler's famous Turin flight Baby G-EACQ at Hamilton, V., Australia, as VH-UCQ in 1936. 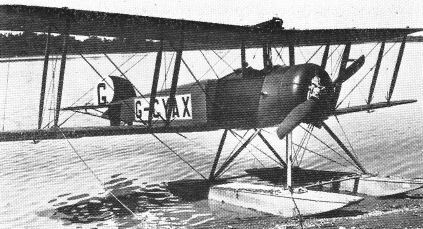 The two seat Avro 543 Baby G-EAUM at Hamble, July 1920, in its initial form with 35 h.p. Green engine. 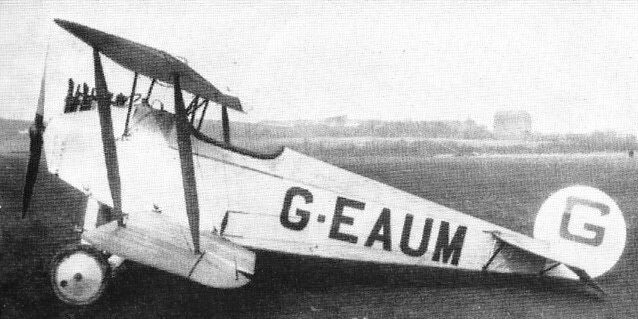 G-EAUM at Shoreham 1926 with 60 h.p. A.D.C. Cirrus I aircooled engine. The clipped wing Avro 534C racer at Hamble, June 1921. 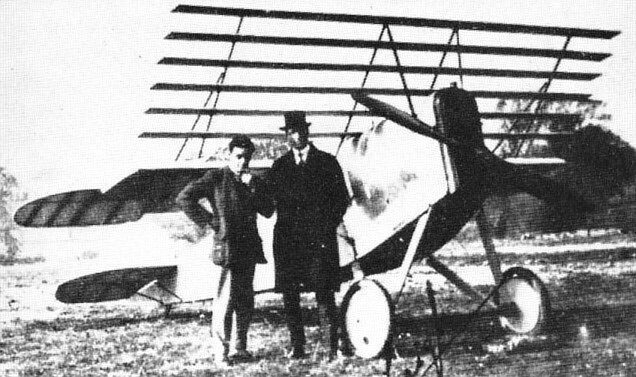 H. J. Hinkler and H. G. Leigh at Hamble in December 1920 with the experimental 'Venetian blind' wing Baby. The tropicalised Avro 534D Baby built for India. Maj. C. R. Carr taxying the Avro 554 Antarctic Baby on Southampton Water in 1921. 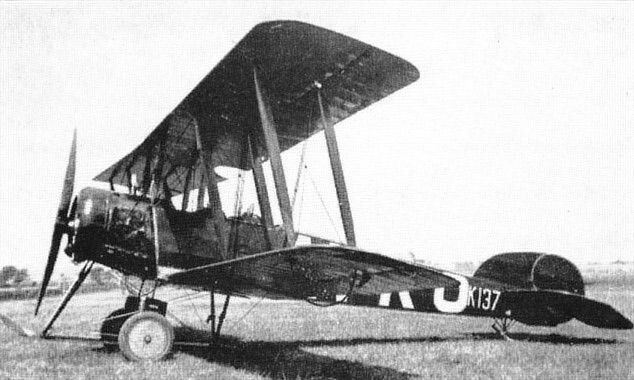 The prototype Avro 536 K-114 / G-EACC at Hamble in May 1919 in its original form without dorsal fin. 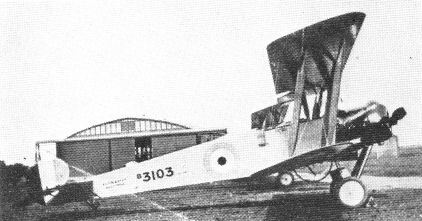 The prototype Avro 536 joyriding at Sandown, I.O.W., in seaplane form in July 1919, showing its unique aerofoil shaped centre section tank. K-137 / G-EADC, a standard Avro Transport Company Avro 536 at Southsea in 1919. The unmarked Avro 546 cabin machine, actually G-EAOM, at Hamble in December 1919. The Olympia Aero Show model Avro 548 showing the wing root elevator control cranks. Rear view of the prototype Avro 548 during its 1922 Croydon joyriding season. 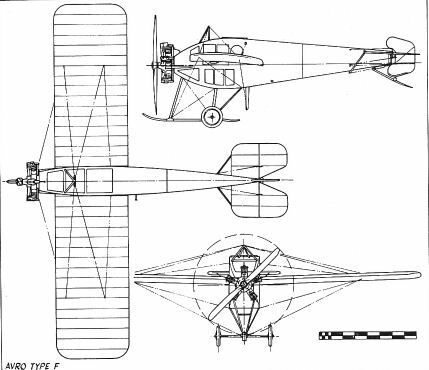 Note the three individual cockpits. 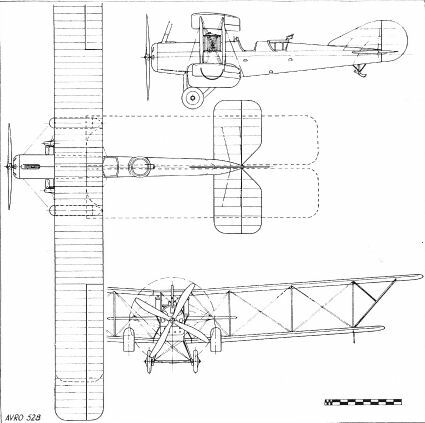 Avro’s slave aircraft G-EAPR in Avro 545 configuration, October 1919, with 90 h.p. Curtiss OX-5 engine. The Henderson School of Flying joyriding Avro 548 G-EBAJ with framework for towing a ‘Welcome Home’ banner at Croydon when the victorious 1927 Schneider Trophy team returned from Venice. G-F.RKN, first of the 120 h.p. Airdisco engined Avro 548A machines produced by the Aircraft Disposal Co. Ltd.
G-EBRD, an Avro 548 with tapered ailerons erected by Henderson at Brooklands for the 1927-28 South African tour.